The perfect journal or notebook for the Pocky snack lover, or for those who just want something quirk and unique! These handmade notebooks are crated from recycled Pocky boxes and come with the option of either lined or blank pages. Just when you thought baking couldn’t get any sweeter! 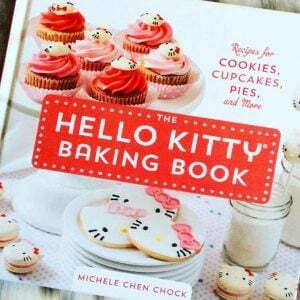 The Hello Kitty cookbook is filled with dozens of yummy baking recipes inspired by Japan’s most famous feline. Absolutely ideal for Hello Kitty lovers with a sweet tooth! 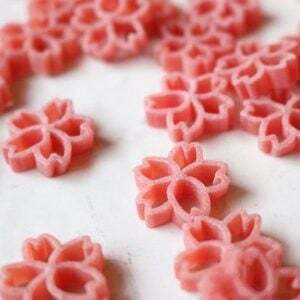 Sakura season has come to your kitchen with cherry blossom shaped pasta! Even if you’re too late to see Japan’s favorite flower on the trees, you still have got plenty of time to see them on your plate with this 3 pack set of sakura pasta. Keep refreshed in the way of the samurai warrior with an ice pop maker in the shape of a katana! Fill with your favorite fruit juice and once the pops are ready, pull on the handle to unsheathe a homemade frozen treat. Set of two. Experience Japanese food culture every month with TokyoTreat Japanese candy subscription! Monthly boxes are sent straight to your door and contain a different variety of Japanese snacks, candies, drinks, and more each month! This sushi roll ornament is handmade and painted to look just as delicious as the real thing! Hanging this Christmas ornament on your tree will make you want to skip Christmas dinner and just order Asian takeout instead. Designed to enhance the dining experience of Asian inspired foods, these bowls come in a set of two with spoons and chopsticks included. You can pick up these bowls by the handles without burning hands and you have a place rest the chopsticks. The perfect sushi roll maker is a fun and easy way to make sushi at home! You’ll never have to leave the house again to enjoy the taste of perfectly rolled Japanese sushi. Just simply fill it, pull and enjoy. It’s super easy! It may still be too early for real cherry blossoms in Japan, but that doesn’t mean you can’t enjoy a piping hot cup of sakura tea! Once covered in hot water, the collapsed petals unfurl and float for a unique Japanese tea flavor. As the colder weather draws in, we all enjoy having a hot meal to keep us warm. If you’ve gone to the trouble of preparing food, now you can make sure that your efforts aren’t wasted. Just plug it in and you can keep your lunch heated! 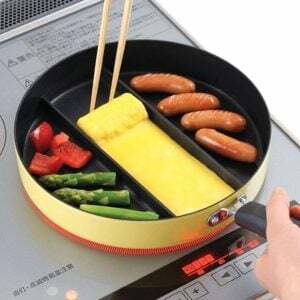 This unique frying pan boasts a simple yet effective design that makes it very easy for you to cook tamagoyaki omelettes. Simultaneously prepare meat and other dishes while grilling delicious tamagoyaki in the center with the perfect oblong shape. These adorable little plush dumpling is just waiting to be delivered to your door! They are made from soft stuffed plush materials and can sit up on their own. They don’t talk much, and just seem to sit there with a sweet smile on their face. Access the craziest, trendiest and tastiest snacks from Japan! Over $45 worth of delicious premium Japanese snacks for only $30! Inside you’ll find a drink and an assortment of snacks with a pamphlet that provides detailed information on its contents. The classic Japanese snack has had a grown-up makeover! This new version of the chocolate-covered pretzel sticks goes very well with a nice, cold glass of whiskey. The taste is richer and more bitter, helping to give each piece the aroma of whiskey. The sweet taste of summertime in Japan, in candy form! This candy is made from compressed ramune-flavoured powder, and deliciously melts in your mouth. It even comes in a little bottle shaped just like the Ramune we know and love!